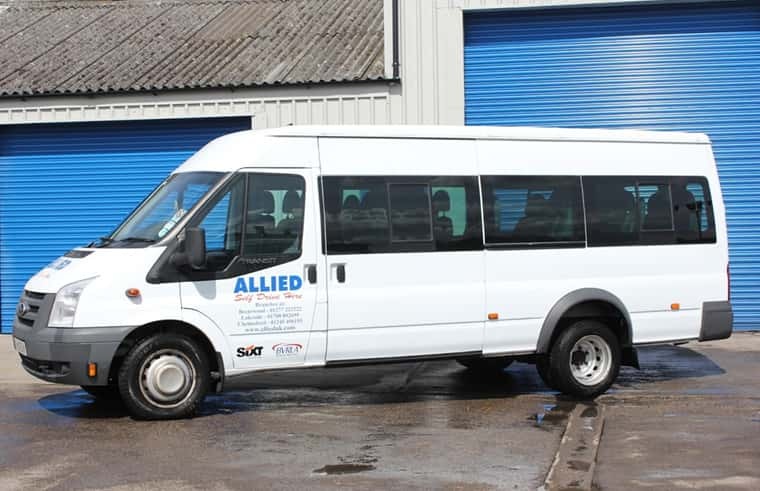 Full size 17 seat inc Driver minibuses this is the largest available in the UK on a standard UK licence (younger drivers / foreign drivers please check that your licence permits you to drive a vehicle with this number of seats as this law has changed in recent years) A “D1” Group is Required to drive this vehicle. Photos of Vehicles are for illustration purposes only, and do not necessarily depict the exact model available. We reserve the right to substitute vehicles as required and will never guarantee an exact Make, Model or Registration in advance. For more information about our fantastic value vehicle hire get in touch today. Regularly serviced fleet of vehicles. Latest models and a modern fleet.